A family favourite. Cannon Hall offers entertainment for all ages. Whether that be at the farm, museum, gardening centre or vast gardens, there is something to please everyone. The recently renovated farm is home to an array of different animals and birds, and even has sheep racing and ferret racing events, and tractor rides for the little ones. There is an indoor play area, and an outdoor one for older kids, and a cafe or a picnic area if you’d prefer to bring your own food. You will also find the farm shop, museum, and garden centre nearby. 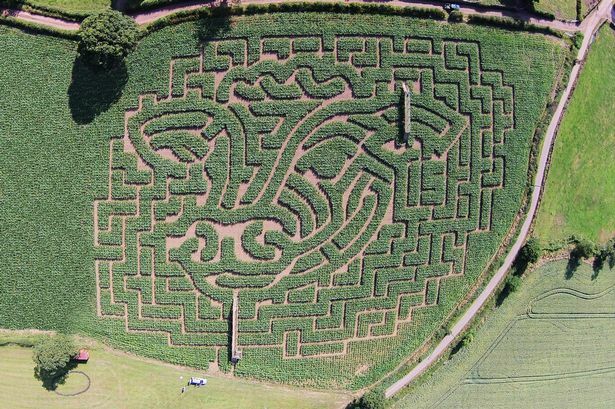 The maize maze is also a wonderfully fun experience, don’t get lost! If you’re looking for a fun day out in the sun for the whole family to enjoy, this is the place. Yorkshire Sculpture Park has been voted one of the best places to visit in its area. The park has free entry and free tours, (who doesn’t love free things)? It’s great for all age groups, with frequently updated exhibitions, and the grounds are massive, meaning there’s lots of space for the kids to run around and play (and get rid of some energy)! The park is also open to dog walkers and the beautiful scenery is the ideal setting for a picnic. With a cafe, gift shop and indoor exhibitions too, it’s the perfect place to visit this summer, especially if the British weather decides to do its thing and throw in a rainy day. Fancy a splash this summer? The Barnsley Metrodome is a great place to spend a few hours with the family. Visit the Calypso Cove water park, with waterslides, diving boards, a wave machine, and toddler pool for younger children. They even offer pool parties, where you can hire the pool for exclusive use. If you don’t fancy getting wet, there’s a bowling alley too, where parties are also available. There’s also a bar that serves food and drink, so you can treat yourself and your family to some American-style dining. A working dairy farm that produces its own award-winning artisan ice cream. The Parlour stocks many diverse flavoured ice creams, along with cakes, teas, coffee and full cafe menus for breakfasts, brunch, lunch, and there are kid’s menus too. One of the farm’s best-sellers is their raw milk, something you wouldn’t normally get to try. Come and have a look at the play area and the converted play barn. The kids can have fun on the go karts, and there are regular events, such as the open farm and tractor festival. “Discover a world of science adventure”. Want a fun but educational day out for the kids? This is the place you’re looking for. Magna is a hands-on and interactive museum, educating its visitors on science and the steel industry. With four pavilions, Air, Water, Earth and Fire, there’s a lot to learn. The children find out about the industry by doing things themselves and completing activities, they won’t get bored! There is also a new play area outside, and a water one too for those hot summer days, don’t forget to bring a towel!